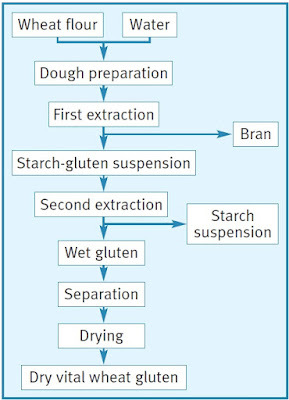 To describe all the aspects of gluten and its production would fill a separate book, so this section will concentrate on the issues relating to flour improvement. Information on the rheological properties of gluten is also given in The Role of Gluten Elasticity in the Baking Quality of Wheat . But like many other articles, that articles only deals with native gluten, i.e. as it is extracted from wheat flour. If wheat gluten is to be used commercially as an additive, it first has to be extracted from wheat and converted into powder. This is a multiple-step process (Fig. 133), starting with the milling of the wheat grains. 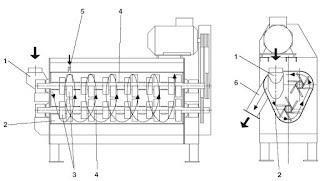 Milling is followed by aqueous separation of the starch and soluble substances from the aggregated gluten, disintegration of the gluten in a pin mill or the like and finally hot air drying, for example in a ring dryer. Only about 82% of the protein of flour is insoluble in water and contributes to wet gluten formation. Furthermore, some of the watersoluble proteins are trapped by the insoluble proteins. But wet gluten is not just water and protein; it also contains about 5 - 10% lipids (d.b.) and a significant amount of non-starch carbohydrates (Pomeranz, 1988). It is clear that the functionality of extracted and dried gluten that is re-added to flour will differ from the gluten naturally present. Most of the changes, especially in the water absorption and rheological properties, are caused by the drying process. Drying will always result in a (limited) denaturation of the protein, i.e. careful drying is a key to highquality vital wheat gluten. 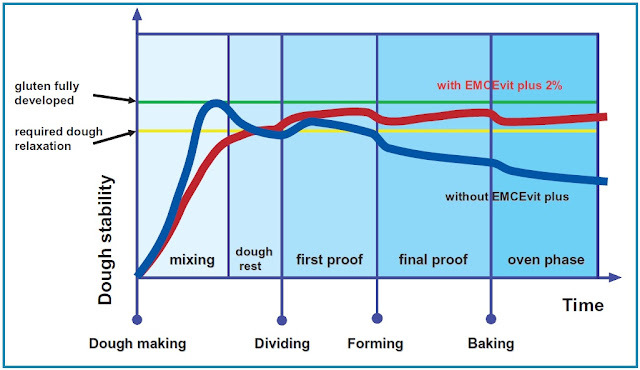 To facilitate blending with flour, the dry gluten particles should not be larger than the largest flour particles. The smaller size improves rehydration (after incorporation into a flour). The water absorption of dry gluten is less than that of native gluten. It is typically 1.3 - 1.5 parts of water to 1 part of dry gluten when added to flour. The water absorption of native gluten is about 2.5 - 3 times its dry weight. Interestingly there have been reports that low dosages of fungal protease can improve the water absorption of vital wheat gluten in baking applications, but this does not necessarily coincide with improved baking performance. Drying results in a shorter gluten structure, i.e. lower extensibility. Although it is possible to test the rheological properties of rehydrated gluten as it is, for instance with the Texture Analyser equipped with a Kieffer rig, it is better to add the gluten to flour or to prepare a reconstituted flour using starch as a "diluent". The latter has the advantage that starch is a better defined raw material than flour. Because of the possible and variable interactions of wheat starch with wheat gluten, corn starch is even better. 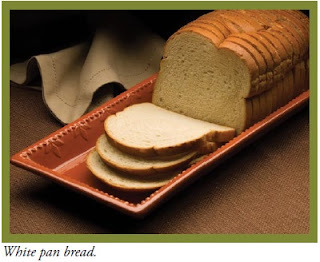 When added to wheat flour, vital wheat gluten increases the strength of the protein, i.e. in the Extensograph and Alveograph the resistance will be higher and the extensibility lower. The Farinogram shows a broader and more stable curve. Because of the denaturating action of the drying process and the resulting shorter gluten properties, wheat varieties with a softer gluten are more suitable for gluten production. But the author has noticed several times that the effect of the gluten also depends on the flour to which it is added: for instance vital wheat gluten from German wheat added to U.S. wheat flour seemed to be more effective than using gluten from U.S. wheat. On the other hand, U.S. wheat gluten produced better results in European bread applications when added to French or German wheat flour. It can be speculated that in both cases, mixing with foreign gluten improved the total gluten composition. Unfortunately, scientific evidence is still lacking. The colour of the gluten also matters. In many cases, extracted wheat gluten has a greyish appearance which will show up in the final application, especially in noodles. It should therefore be as bright white or yellowish as possible. The wheat variety, and also the extraction and the drying process, have an influence on the colour. The protein content of vital wheat gluten is about 80%. Unfortunately, different methods and factors are used to determine the protein content. When using the Kjeldahl method, a nitrogen: protein factor of 5.7 should be applied. This typically results in a protein figure of about 78 - 79%. Sometimes the factor for feed wheat, 6.25, is used. The protein figure will then be about 10% higher. 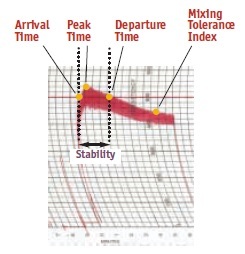 Although the Kjeldahl method is the reference, the largescale production of vital wheat gluten will always involve the much faster NIR method, using Kjeldahl only for calibration purposes. 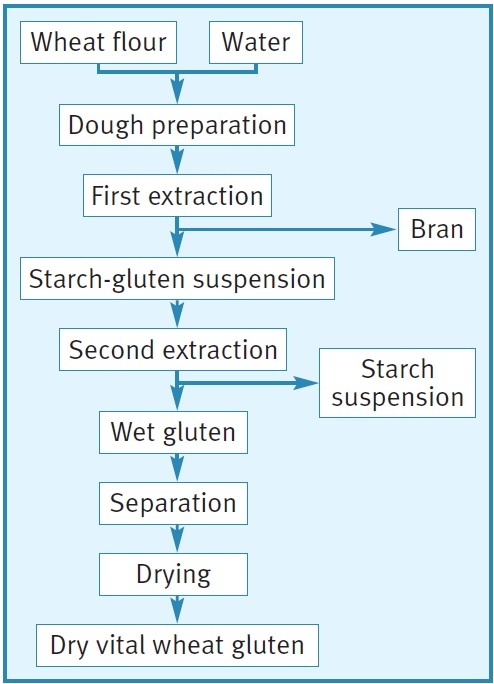 Trials using reducing agents such as L-cysteine in the gluten extraction process in order to improve the gluten extensibility were unsuccessful (Hedwig, 1996). Phospholipids have long been known to protect protein or micro-organisms against detrimental impacts such as temperature, pH conditions or mechanical stress (Höfer et al., 1996). Incorporating lecithin into the wet gluten before the drying process should therefore improve the "vitality" of the protein. Hydrolysed lecithin does, in fact, improve the rheological properties of wheat gluten, for instance extensibility. Even quite a small proportion of these protected gluten proteins probably decelerates the agglomeration of the endogenous flour proteins during dough preparation. So the protein network only reaches perfection at the end of the mixing process (Fig. 134). As compared to standard vital wheat gluten, the addition of lecithinated wheat gluten results not only in enhanced dough stability and volume yield, but also in better dough extensibility and improved machinability.